The flip-cap design not only prevents you from misplacing the cap, it also allows it to be easily opened with a flick of a thumb. USB Flash Drive Open with a Simple Flick. Includes a strap hole to attach to lanyard or key chain. It features SLC caching and advanced error correction technologies to ensure optimized data performance and integrity. For those who want to experience a clear PC upgrade it's an excellent choice with a great cost-performance ratio. ● Large capacity up to 64GB. ● Convenient quick-slide capless design retractable. ● Includes a strap mount to attach to lanyard or keychain. ● High-speed USB 3.0 interface. 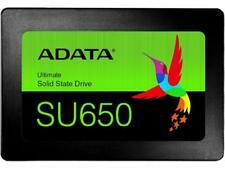 Ultimate SU630 3D NAND internal Solid State Drive SSD. If you’re looking to replace that HDD of yours with an SSD, look no further than the ADATA SU630. 3D QLC NAND Flash for higher affordability. Free software: SSD Toolbox and Migration Utility. Wide capacity range: 60GB to 960GB. Ultimate SU650. 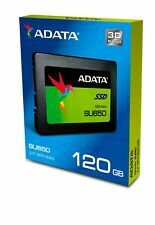 Supports ADATA proprietary software - SSD Toolbox and Migration Utility. Internal Solid State Drive (SSD). AS SSD: Up to 500 MB/s. AS SSD: Up to 440 MB/s. 4.5 out of 5 stars - 240GB SATA III 3D NAND Internal Solid State Drive SSD 240 GB 2.5"
3 product ratings3 product ratings - 240GB SATA III 3D NAND Internal Solid State Drive SSD 240 GB 2.5"
● NAND Flash: 3D NAND. ● Capacity: 120GB. ● Interface: SATA 6Gb/s (SATA III). ● Form factor: 2.5”. ● Storage temperature: -40°C-85°C. ● Weight: 47.5g. ● NAND Flash: 3D NAND. ● Capacity: 240GB. ● Interface: SATA 6Gb/s (SATA III). ● Form factor: 2.5”. ● Storage temperature: -40°C-85°C. ● Weight: 47.5g. 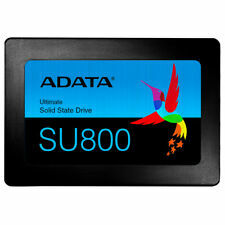 Ultimate SU630 3D NAND SSD 480GB Internal Solid State Drive. Featuring LDPC ECC and technologies such as high TBW (total bytes written) and DEVSLP (Device Sleep), the Ultimate SU800 instantly upgrades notebook and desktop PCs with superior stability, durability, and power efficiency. This is an ADATA SU800 M.2 SSD installed in a IDE/PATA 2.5" adapter. It was used briefly to transfer files, then cleaned and tested. Speed up older machines with this 128GB IDE/PATA SSD. Ultimate SU650 3D NAND SSD. 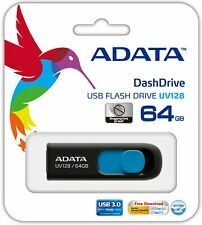 Supports ADATA proprietary software-"SSD Toolbox” and “Migration Utility”. The SU650 features SLC caching and advanced error correction technologies to ensure optimized data performance and integrity. If you're looking to replace that HDD of yours with an SSD, look no further than the ADATA SU630. Capacity: 240GB. 3D QLC NAND Flash for higher affordability. NAND Flash: 3D QLC. Free software: SSD Toolbox and Migration Utility. 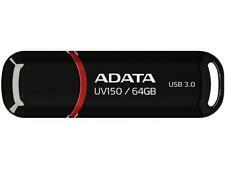 ADATA OTG USB allows file back up and sharing for Android phones and tablets. Back up files from an Android Devices onto your OTG USB Flash Drive. When you need move large amounts of data to or from your phone, like video files or high-resolution images, wireless transfer can take too long. If you're looking to replace that HDD of yours with an SSD, look no further than the ADATA SU630. Capacity: 480GB. 3D QLC NAND Flash for higher affordability. NAND Flash: 3D QLC. Free software: SSD Toolbox and Migration Utility. Model : UV131. USB Specification : USB3.0. Storage Capacity : 32GB. Format : USB. made of rugged zinc-alloy with a race car spoiler lanyard hole. USB Flash Drive. Desktop/Laptop RAM. USB Specification. Looking to replace your SATA SSD?. If so, look no further than the SX6000 Lite PCIe Gen3x4 M.2 2280 SSD. Ultra-fast PCIe Gen3x4 interface: R/W speed up to 1800/1200MB/s. Interface: PCIe Gen3x4. Capacity: 512GB. ● 3D NAND Flash for higher durability. 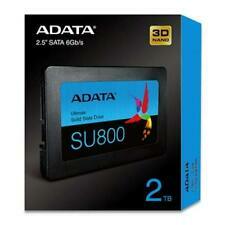 ● Supports ADATA proprietary software – “SSD Toolbox” and “Migration Utility. ● SLC caching: enhances transmission speed. Wide capacity range: 60GB to 960GB. Ultimate SU650. 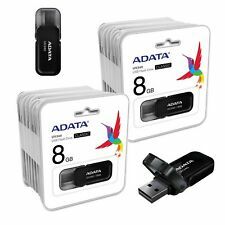 Supports ADATA proprietary software - SSD Toolbox and Migration Utility. 3D NAND Flash for higher durability and capacity. Internal Solid State Drive (SSD). Trending at $99.50eBay determines this price through a machine learned model of the product's sale prices within the last 90 days. 4TB AData rugged and shock-resistant portable hard drive with USB3.1 interface. The AData Durable HD650 keeps your data safe while also looking extremely cool. Unique silicone case provides great shock absorption in case you drop your hard drive. USB-powered 2.5-inch drive in stylish all black color. Ultimate SU650. Supports ADATA proprietary software - SSD Toolbox and Migration Utility. Internal Solid State Drive (SSD). AS SSD: Up to 500 MB/s. 3D NAND Flash for higher durability and capacity. AS SSD: Up to 430 MB/s. ● Large capacity up to 128GB. ● Convenient quick-slide capless design retractable. ● Includes a strap mount to attach to lanyard or keychain. ● High-speed USB 3.0 interface.